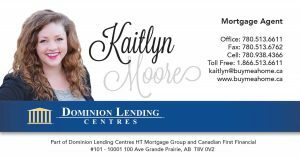 Kaitlyn joined Dominion Lending Centres in Grande Prairie after moving back to the Peace Country in 2014. Kait is always lending a helping hand to homebuyers who need a little more knowledge. 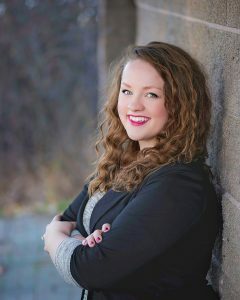 In her spare time, Kaitlyn can be found snuggling with her furball of a dog Sarabi, coaching basketball or working on DIY home projects with her husband John. Give Kait a call today to get your new mortgage started!